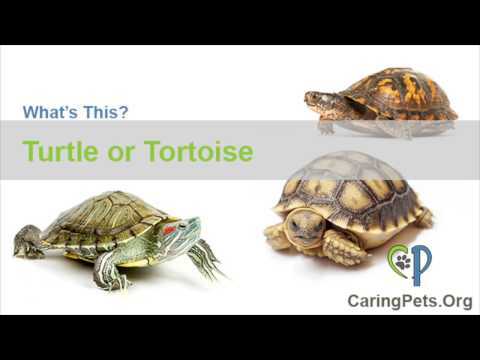 Learn what it takes to properly care for your turtle or tortoise in this pet owners guide. In this guide we provide all the basic information needed to get started for beginners and novice owners of turtles and tortoises. On this hub we give a short overview on each of the main categories of care and through the linked category pages you will find all the relevant supporting topics and sub-articles. Turtles are found on almost every continent; they can be found in the dry hot deserts to the year around warm humid climates and even areas that have cold harsh winters. All the turtles found around the world have adapted and evolved to survive in their given natural habitat. Each of these unique sub-species have their own specific needs to thrive. It’s important to know the type of breed you have in order to get the correct information on caring for it. It’s important to become familiar with the needs of your turtle species. Knowing the this information can ensure that your pet stays happy and healthy. If you fail to do so, it can make your turtle miserable and give it a shorter lifespan than it has potential for. What air or water temperatures does your species need to stay healthy? What percentage of humidity does your turtle or tortoise prefer? Does it require any additional sources of land or water to live in? What types of food do you need to include in their diet? How vast of a living space is required to ensure you keep a happy pet? You have several options for housing your turtles. Depending on where you live in the country and what type of turtle you have, you can create an outdoor pen or even a turtle pond if you have the space in the yard. If outside isn’t an option or you would like to house your pets inside during a cold winter, you can build an inside table or even house them permanently in a large aquarium if they are small growing species. The word “turtle” is often used describe all turtles, including tortoises. In actuality though, there are 14 turtle families within the order of Testudines (Chelonii). The families share similar characteristics but also have their differences. In simple terms, a tortoise is considered a land based animal that doesn’t swim. A turtle on the other hand is an aquatic or semi-aquatic animal. Now it gets confusing – a box turtle is in fact a turtle but land based one. Every turtle and tortoise has a specialized diet that you need to adhere to. Some turtles are strictly vegetarians that only eat greens and veggies while others are mainly carnivores and require proteins or live meals. Simply throwing in a head of iceberg lettuce is no meal for most turtle; they won’t get the adequate vitamins or minerals they need to stay healthy. Find out what you should be feeding your turtles. Turtles like all animals are susceptible to a number of diseases, illnesses or injuries. For starters, the best way to avoid getting a sick turtle is to avoid purchasing one that isn’t healthy in the first place. Furthermore, you can help prevent illness by keeping your turtle’s living space at the most optimal parameters for its breed as well as feeding it an appropriate diet. Sometime disease and infection are inevitable and unavoidable. What size of tank or pen does my turtle need? What is the best type of bedding substrate to use? What types of foods can I feed my turtles and tortoises? Can I safely keep a turtle outside in my backyard? What types of turtles are there? Can I take my injured turtle to a veterinarian? My turtle isn’t feeling well, what is wrong with it? Do turtles and tortoises hibernate? How do you breed and care for baby turtles? Wild box turtles, aquatic turtles and tortoises that live in colder climates all hibernate during the cold winter months. As an owner of a pet turtle, you too can choose to hibernate them during these cold periods. Alternatively, you can bring them inside to ride out the winter indoors where it is nice and warm. There are factors you need to be aware of before deciding that hibernation is right for your turtle; sick, young and under weight turtles should not be put into hibernation. You can choose to build a box or convert a refrigerator into a place for them to sleep out the winter or you might decide to dig a pit filled with mulch and leafs. 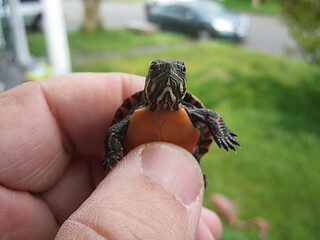 When you keep turtles of both sexes in the same habitat and they are of breeding age, they will likely begin to breed. Pregnant females will need a suitable area to deposit her eggs into a nest. Both land species and aquatic species need a loose moist substrate for this. You can then decide to leave the eggs where they are or take them inside and hatch them in an incubator. Once they have hatched, you will need to learn how to feed these tiny size turtles or tortoises. Does the turtle have webbed feet with claws or does it have what appears to be toenails. If it has webbed feet, it’s likely a water turtle. Take a look at these pages to see if you can identify it – Otherwise, send a pic to tim @ caringpets.org (no spaces). In the mean time, add a shallow water dish so it can soak in water. All turtles and tortoise would benefit from a soaking dish. I got a new pet box turtle the other day and need to to know how to take care of it. Should I keep it in doors in an aquarium or can I let it live in the backyard. I’m worried it might escape if I leave it outside. Any advice would be great. Thanks. You should avoid using a glass aquarium since they don’t vent well and sometime turtles get stressed out by being able to see through the glass. Many owners opt for a turtle table that is wide with sold walls. Box turtles would love to be outside but if you do, you should build a pen that is secure. One to keep the turtle in and two, to keep predators out. 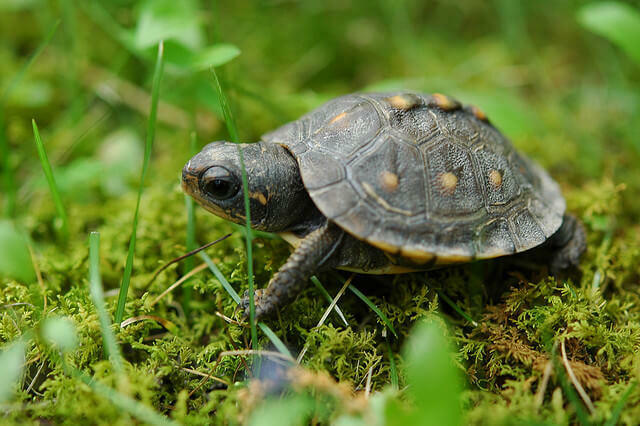 Take a look at our sections on housing box turtles and tortoise. I think that it is interesting that you bring up that a glass aquarium does not work well with turtles. A friend of mine wants me to babysit her turtle. I am not sure exactly how to take care of it besides what she told me. She keeps her turtle in a glass aquarium though, and so far it seems fine. is it a box turtle of an aquatic turtle. I’m sure there are exceptions and some box turtles might not have issues with the glass and if the tank is well ventilated, the possibly gas build doesn’t become an issue.